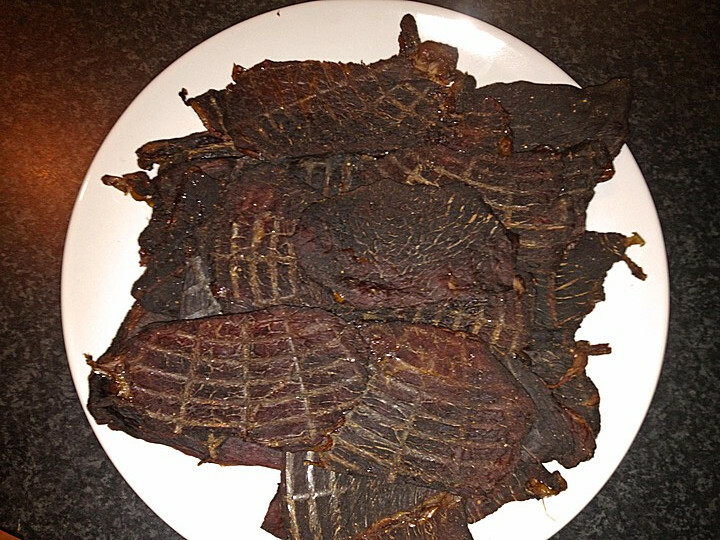 This is the typical beef jerky made in Canda. This Recipe is from a canadian local. 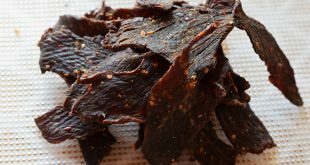 He use to make his jerky with this recipe for a long time already. We highly recommend to use the liquid smoke flavor. Have a look . Most likely you can find it in a convenience store around you. If not you’re still able to order it online. This recipe is for 500 grams of beef meet. To made this beef it’s simply easy. Mix all the ingredients together to get a nice marinade. Cut you meet in long thin pieces and give it to the marinade. 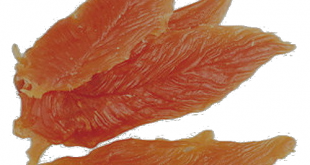 We recommend to add it piece by pice to take sure every part is well marinated. Marinade the beef for at least 12 hours to get the full flavor. Remove the meet from the marinade and try it as good as possible with paper towels. This reduce the dehydrating time. 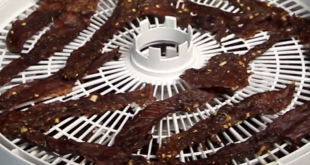 For the dehydrations follow your dehydrators introductions or use an oven. The temperature of your oven should be around 80 degrees. After approx. 8 to 12 hours its perfect. 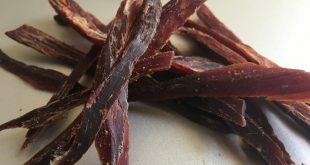 The beef becomes very dry and you can store it up to one year.